If you remember, we recently learned that a modified Google Camera app was able to closely emulate the classy ‘Portrait mode’ of the Pixel 2 devices on older Pixel phones, as well as Nexus devices. But, what’s even staggering is that a similarly modified camera app has now enabled the portrait feature on OnePlus 3 and 3T as well. First reported on XDA Forums by Senior Member S4turno, the Camera NX app, which in itself is a modified version of the Google Camera app, was tweaked to fix the blur for the “Portrait Mode” using the config Huawei-angler for the Nexus 6P. With that change, it was ready to be used in a host of other phones, including the OnePlus 3 and 3T. What was even better was that it worked on non-rooted phones too. But as was the case with the modded camera app for older Pixel and Nexus devices, this app was only able to detect human subjects. 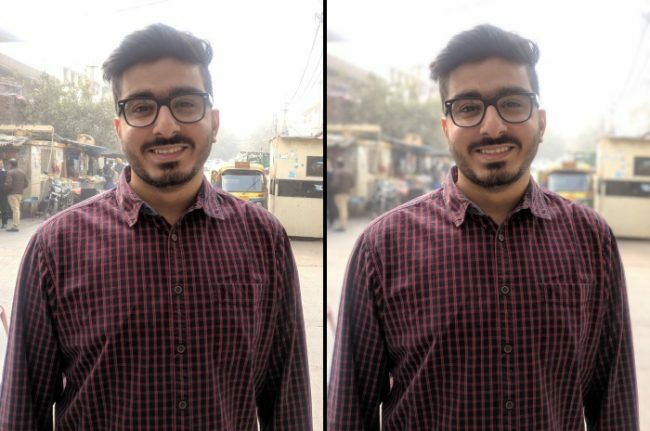 The pictures of human subjects are crisp with good edge detection and realistic blur (not the fake bokeh effect that some apps force on these photos). This mod of the Google Camera app captures a burst of photos to create the depth of field effect for the shots. Unfortunately, the Camera NX app is incapable of detecting inanimate objects to blur out the background around them. We tried using props but the app repetitively took only burst shots of such subjects, instead of ‘Portrait mode’ photos. While that’s a little disappointing, the Camera NX mod is well-worth installing on your OnePlus 3 and 3T for some experimenting, especially if your curiosity was piqued by the ‘Portrait mode’ in other phones.